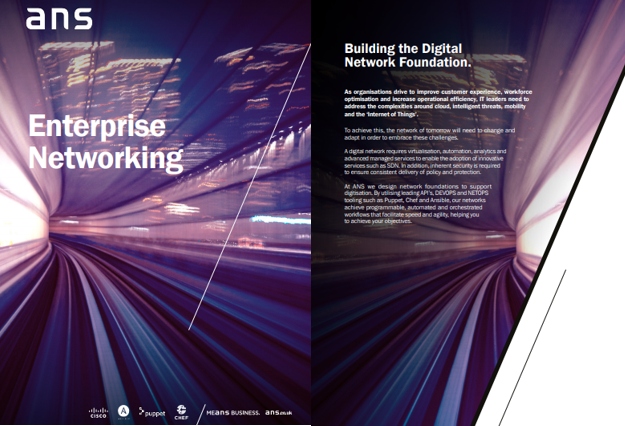 Your network is the foundation that will deliver your digital transformation. To manage the complexities around cloud, intelligent threats, mobility and the IoT, the enterprise network will need to change and adapt. ANS designs the network foundation to support digitisation.